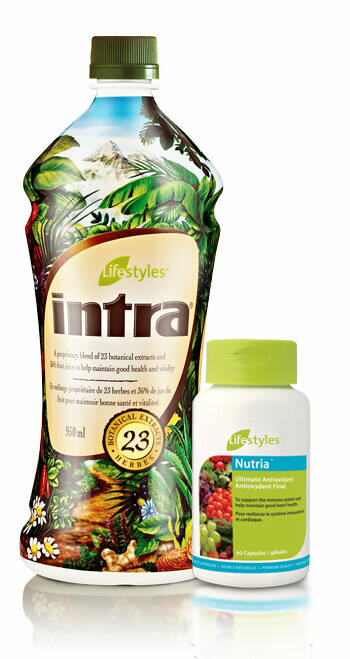 Nutria is a breakthrough formula that complements the 23 time-tested and trusted botanical extracts in Intra. When both are taken together, your body can benefit from more than 250 health building properties. On a standardized scale, the power of Intra and Nutria together produce an ORAC value of 56,406/L. ORAC stands for Oxygen Radical Absorbance Capacity and measures the power of an antioxidant based on its ability to neutralize free radicals. Higher ORAC levels equal stronger antioxidant capacity.